Everyone dreams of living in a luxury mansion where they can live and feel like kings and queens. However, financial constraints have always rendered this wish impractical. 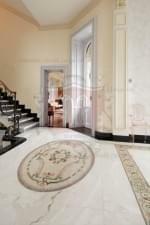 But do you know you can actually transform your simple home into a luxury mansion with a oval marble mosaic design? 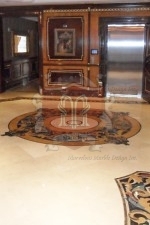 Well, this is exactly what the two oval marble mosaics on luxury mansion design is meant to do. Creating the right atmosphere in your house is not always easy given the extensive variety of interior design preferences. Everybody seems to have a conflicting idea of how a perfect home décor should look like. But now you have a neutral floor design that combines flexible colors and patterns to ensure it goes with any other decorating element. With its green components, the two oval marble mosaics design brings a touch of nature in your house, creating a sense of richness and optimism. Interior designers argue that green is a soothing color of nature and neutral, thus declaring it ideal for virtually all spaces, both interior and exterior. If you are renovating your office floor, you need to consider using this design as it brings the feeling of growth and freshness, which are critical aspects of any workplace. It also makes the entire room feel approachable and comfortable. And when it comes to upgrading your room with newer designs, this floor design will effortlessly adapt to whatever décor you introduce. It’s a timeless piece of art that will keep your room looking elegant and stylish for many years into the future. Surely, you don’t want to spend your money on a floor design that will lose value in a short while and force you to redo the entire floor time and again. 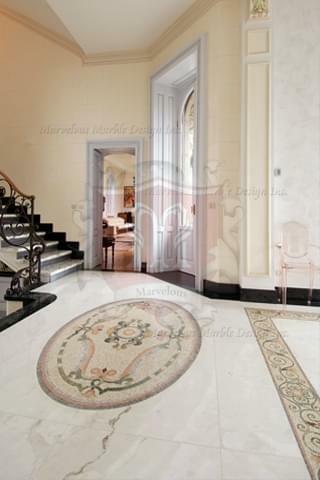 The two oval marble mosaics on luxury mansion is a symbol of yesterday, today and tomorrow. You won’t have to change your floor for a long because this design is adorable, durable and timeless. The touch of brown and gray colors adds to the ageless and neutral nature of this floor design. Given its ability to sooth and brighten up the mood, this piece of art can be used in any part of your house including your bedroom and bathroom. 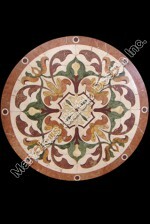 Bring Mother Nature inside your house with this floor design. It will add a breath of fresh air and fertility to your house, giving you a special getaway in your own home. 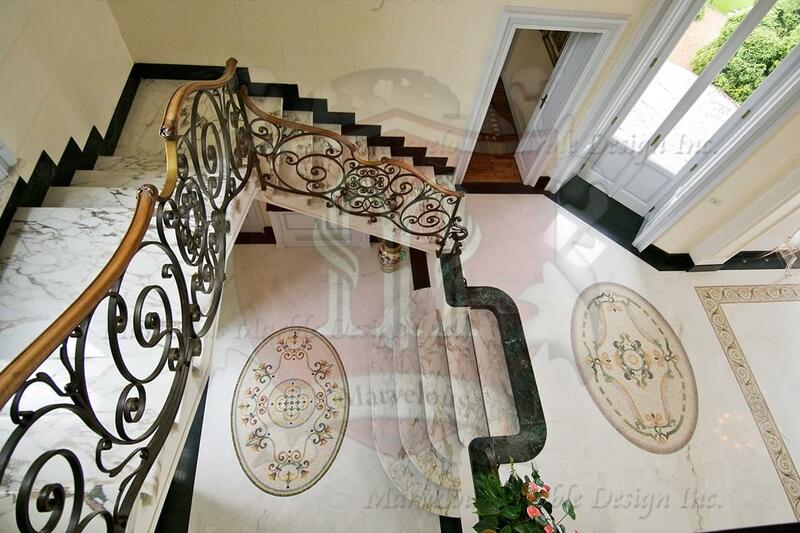 You can never go wrong with a two oval marble mosaics on luxury mansion design.